Nollywood news + Naija Gist | Yoruba movies, Naijagist, Nigerian music, Naija news, Nigerian movies: Kunle Afolayan bags political appointment from Lagos state. 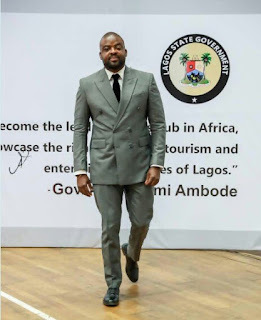 Kunle Afolayan bags political appointment from Lagos state. Ace Nollywood film maker, Kunle Afolayan has been appointed by the Lagos state government as board member of the Lagos state basketball association. The appointment was made by the Lagos state government, Gov. Akinwunmi Ambode. Sharing the news on his social media the talented Actor, wrote; "I will like to use this medium to thank the Visionary Governor of Lagos State Mr Akinwunmi Ambode, The DG/Member Governing board Lagos state sports commission Mr Babatunde Bank Anthony, Executive Chairman/Chairman Governing Board Lagos sports Commission Dr Kweku Tandoh and the entire Governing Board Lagos state sports Commission and the First Lagos Veteran basketball group FLVBB for the recognition and responsibility bestowed on me. It’s time to give back and ensure the tourism and sport potential of the Lagos state is maximized to the fullest."